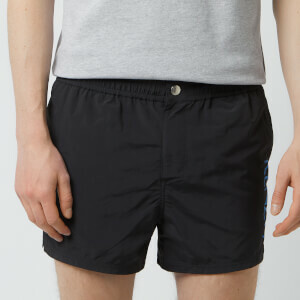 Men's mid-rise, layered running shorts from technical activewear label, Satisfy. Combining stretch Justice™ fabric (from France) and Coldblack™ material (from Switzerland), the lightweight, breathable design provides UV protection, odour control and moisture-wicking properties to keep you cool and dry. 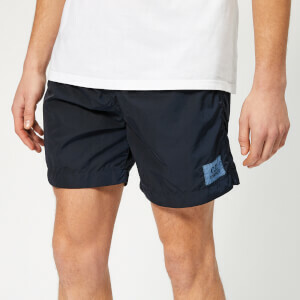 Cut in a regular fit with close fitting inner tights, the water-repellent shorts are detailed with reflective branding, an S-biner key hook and a drawcord closure that can be worn exposed or hidden. A rear zipped pocket offers secure storage. 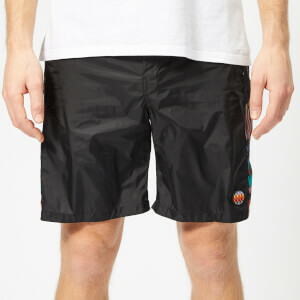 Complete with flat seams, bonded hems and the brand's signature detachable label.